There a lot of posts about how to spend your honeymoon the best. The numerous tips suggest you a myriad of places to visit: from warm and sunny countries to the most uninhabited ones. However, we do not always possess enough time and money to arrange exciting trips far abroad. And although they say that the honeymoon is a logical continuation of your wedding and the start of your life as a couple, most of the time people just go back to the routine days without unpacking luggage and putting up the fridge magnets. However, it would be still nice to dedicate a couple of days to just you and your beloved one and forget about the outer world. 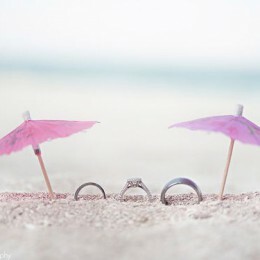 If you happen to be a regular couple without a huge amount of money on your bank account, then the only way to celebrate these days is to arrange a memorable and beautiful honeymoon at home. It is much easier to do it than you imagine – and this post is a proof to it. First and foremost, you need to create an appropriate surrounding environment. There are plenty of ways to do so. For instance, you can spread a great amount of exotic plants around your house to create an impression of jungles. 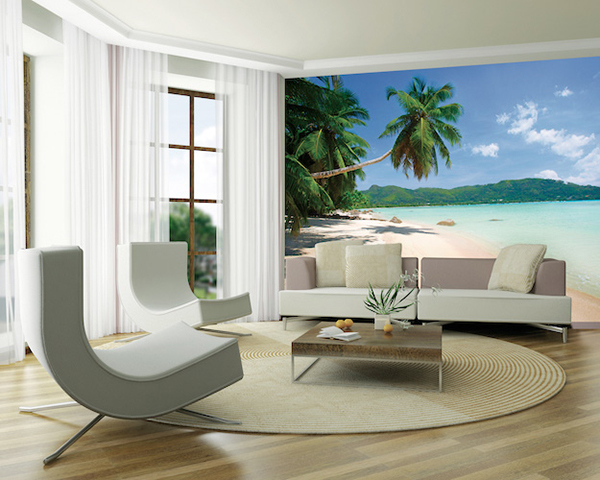 Or else, hang the photo wallpaper with an image of a sandy and crispy beach with a couple of palm tress, crystal blue sky and gorgeous waves. Such a picture will give you an outstanding view and make every minute of your stay at home feel like heaven. Also, you can temporarily replace your couch with a couple of beach chairs where you can hypothetically sun bathe. Next, you ought to worry about your outfit. Of course, it is quite obvious that the swimwear is what you going to rock during your time at the “beach”. Yet, it is also important what you have on during the rest of the time. 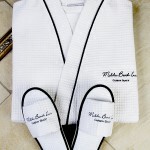 For example, when you are in your awesome five-star hotel room – after a busy and exciting day out – the most appropriate outfit would be classic white bathrobes and matching slippers, which are normally provided by decent hotels. Such an ensemble will give you a feeling of being a true resident of a cool hotel. Speaking of a hotel room – if it is honeymoon that we are talking about, it has to be a place that is full of romantic vibe. A gorgeous bed with some sheer and delicate tulle hanging down from the ceiling as well as the burgundy pillows and rose petals laid out in a heart-shape is something that will definitely create the most romantic and sweet mood ever. You can add some colored and scented candles or any other elements of decor to enhance the presence of love in your room. 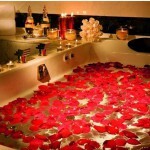 The rose petals can be easily utilized further – to decorate your bathtub. And so can the candles. Such bathing experience is styled in the mood of the Pretty Woman and other incredibly romantic movies, so you will not regret spending half an hour on embellishing your bathroom. 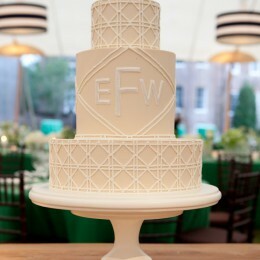 Don’t forget about champagne or wine – without a light drink you won’t feel that dizzy. When we travel abroad we tend to try out the local cuisine. It is very engaging indeed how the authentic dishes of a certain country taste like. Delicious food definitely makes out time more exciting and memorable, so meal is an important element of our honeymoon as well. Instead of going out to the local restaurants, ordering fast food or cooking beef stew and spaghetti – be more creative and add up to the mood of being on a vacation trip. Good thing that the web network today is full of various receipts, while the grocery stores can provide you with an access to almost any ingredient possible. 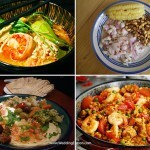 Depending on where you are “spending” your honeymoon, you can cook tasty dishes from Spain, Thailand, Peru and Morocco. 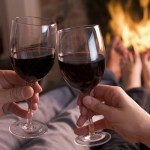 Lastly, to finish your wonderful day, get some more wine and lay down at the fireplace. You can change the setting of your living room to match your dreams the best. Nothing can be more relaxing than listening to some romantic music, sipping the wine and cuddling in your beloved one’s arms. 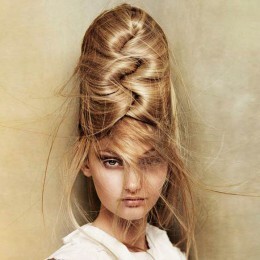 There is nothing wrong about dreaming a bit too bold, right? If you do not have an opportunity to spend a real honeymoon, somewhere abroad – why to go with it and leave yourself without a well-deserved vacation? As long as you have strong will and determination to make the start of your new life as sweet and wonderful as possible, the world is your oyster!